Check out the courses we offer to help you become a safe, confident motorcyclist. Everything is done with your safety and security in mind, so get in touch with our team now. for more information on our motorbike training and CBT courses. 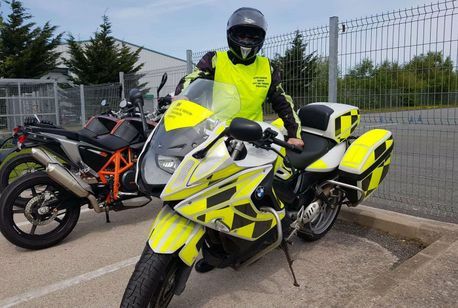 Based in Bangor, Gwynedd, Rider Training Bangor is a knowledgeable, friendly, and patient motorbike training provider. Our CBT courses and training sessions are ideal if you want to learn how to ride a motorcycle or moped safely. Our instructors have been helping new riders since 1984, and we’ve helped countless people to achieve their licences. We were one of the first to offer CBT in North Wales, and due to this we’ve built an enviable reputation. Our team works closely with the emergency services, and this means that everything we offer is safe and secure. Our associations include the Driver and Vehicle Standards Agency and Rosber Instructors, and we hold diplomas in Advanced Driving Instruction.